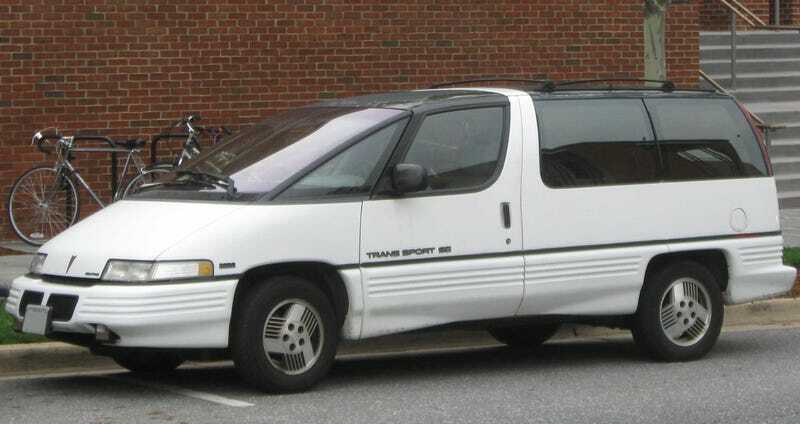 As a kid I adored minivans. Here's a huge post about it. I had a Trans Sport toy car, and I thought it was the coolest car ever. Then, our family friends bought the first gen Scenic when it came out. It was AWESOME. Huge inside. So roomy, and you sit so high off the ground. And a badass facial expression, like it means business. Then, our neighbor bought a Scenic RX4. It was huge to me, and it had cool matte black plastic and it was lifted and it had the cool wheel cover on the back, with a clever door hinge. Subsequently, I fell in love with the Kangoo. I was then driven in a Multipla. It was a fantastic experience. Everything before it was a shoebox, this was HUUUUGEEEE inside. 3 front row seats. And everything was full of storage bins, shelves, cupholders and handles. It was awesome. I then took some time off with my minivan love affair. A few years ago, however, I saw a Chevy Astro online. With white letters! I also came across some interesting VW's in my VW phase... Even though they are vans, not minivans. Still, worth mentioning. Aaaaand then I stumbled upon all the cool japanese new minivans, like the Odyssey or the Previa or whatever this thing is. Yep... I love the idea of a minivan. It's a people mover. Not a bus. Just a comfy, spacious people mover. Right now, I think this is the PERFECT car. In every possible way. Ever. Or had one of the mentioned ones?